Who lives in a pineapple under the sea...this guy, that's who. 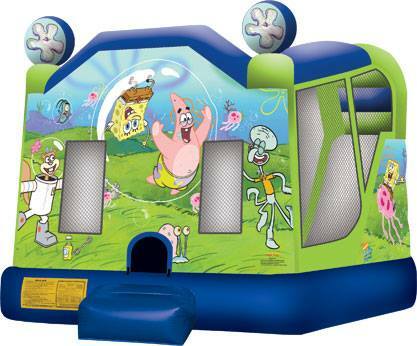 A top favorite of kids all ages, Spongebob knows how to bring life to any party. 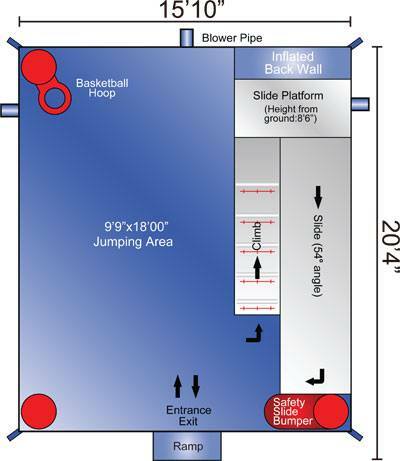 Kids will jump for joy when they see our combo bounce house that features a basketball hoop, a pop up and a slide.